Though this is a topic that is widely documented, this is one of the searches that land people on this blog. 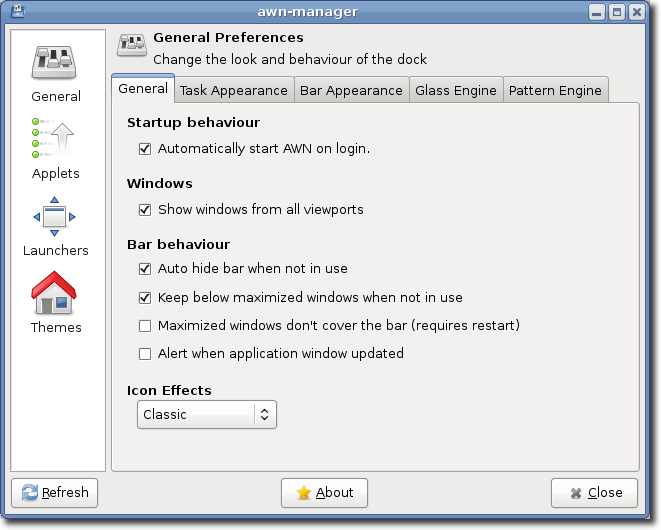 So I thought it is only logical that I write a post on how to install Avant Window Navigator aka AWN on Ubuntu Hardy Heron. I would just stick to this version and keep the post simple. Go to System > Administration > Software Sources. Click Reload button on the new window that pops up and wait until the update is complete. Once this is complete, the Software Sources window would close on its own. Once the installation is complete, go to Applications > Accessories > Avant Window Navigator. 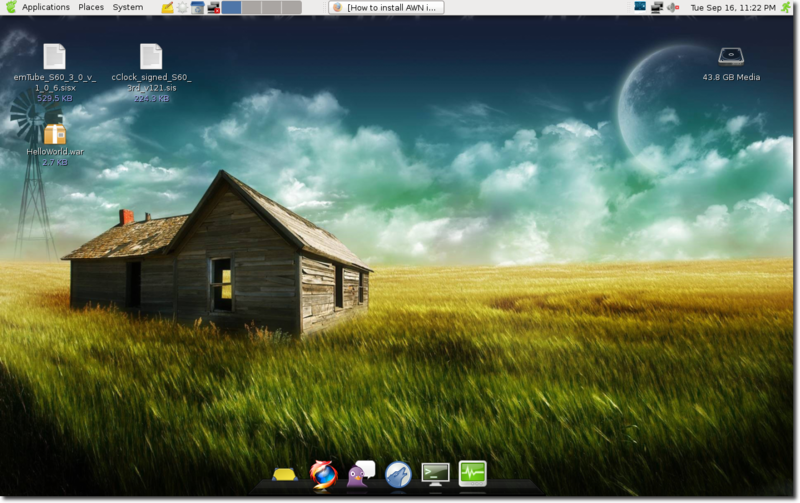 The dock would start at the bottom of the screen. So you would have to remove the panel there (if you still have it there ;) ) and move the items elsewhere. You can drag and drop any program from its menu. For example, if you want to add Firefox to AWN, go to Applications > Internet > Firefox Web Browser and drag it to AWN and drop it once a “+” would appears on the cursor.